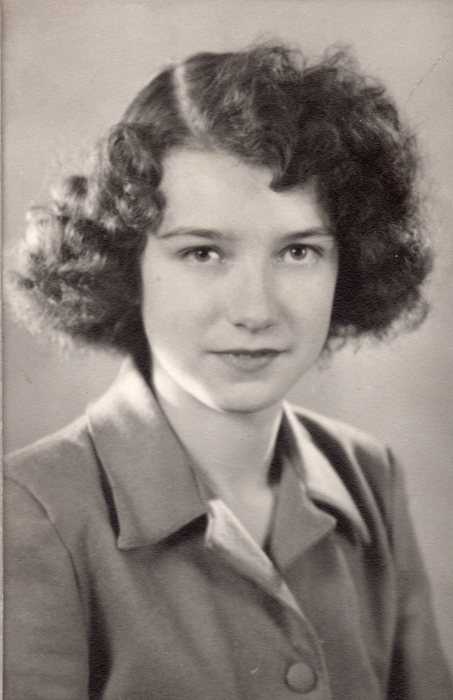 Myrtle Annaclare Pallister passed away in Lacombe on April 2nd, 2019. Born in the farm house at Kenlis, Saskatchewan, on June 9th, 1931, she was the only child of Sydney and Myra (Garratt) Bearden. Myrtle received her primary education in the Kenlis one room schoolhouse, and then she graduated from Abernethy High School in 1948. She attended Moose Jaw Normal School, graduating in 1949, and taught in one room school houses in Hazelcliffe and Lorlie Station. In December 1950, she married Cecil Pallister in the Abernethy United Church, and they lived in the upstairs of the Pallister farm house. Cecil was working for Len Thompson, Myrtle's step-father. Their son Sydney was born in 1952, followed closely by another son Richard in 1953. In July of 1958, the family moved to Lacombe, Alberta, and Len Thompson Bait Company was established, where she worked as a part-time secretary and bookkeeper. Their daughter Sandra was born that December. Myrtle and Cecil settled into Lacombe, raising their family and building friendships that would last a lifetime. Completing the family, son Greg was born in 1968. Myrtle had a very generous spirit, from regularly donating to many worthy causes, to riding her bicycle with a delivery of sweet peas from her garden to cheer up a friend. She was also involved in numerous community activities including playing the glockenspiel in the Lacombe Lions Community Band, serving as a Unit 6 (Silly 6) United Church Women member and Sunday School teacher at St. Andrew's United Church, director of the Lacombe and District Music Festival Association, member of Lacombe Hospital and Nursing Home Auxillary, knitting baby hats and working in the Tuck Shop. She taught knitting to Upper Elementary students on Fantastic Fridays. In April 1986, she was named Lacombe Globe's volunteer of the month. In her later years, she was awarded a honorary Lifetime Membership from the Mary C. Moore Public Library and Life Member of the United Church Women. Myrtle was crafty and loved baking, from a young age entering many agricultural fairs with tarts, bread, embroidery and petitpoint. She continued her passion by knitting prayer shawls and dishcloths and made many plastic canvas napkin holders and ornaments for friends and family. She also donated countless squares, cookies and other baked goods to a variety of causes over the years. Myrtle and Cecil loved their winter home in Mesa, Arizona. They first stayed in their motorhome, then moved into a mobile home at Sunset Trail Ranch and lastly a park model at Viewpoint. She was predeceased by her husband Cecil in 2010 and is survived by her children Syd (Elaine), Richard (Karen), Sandra (Lorne) and Greg (Kathy); 8 grandchildren Thomas (Sandra), Angela, Sean (Sarah), Bradley (Rachel), Jessica (Mike), Steven (Edwina), Leslie (Andreas) and Myles; 5 great-grandchildren, Dylan, Araya, Elizabeth, Max and Evelyn. 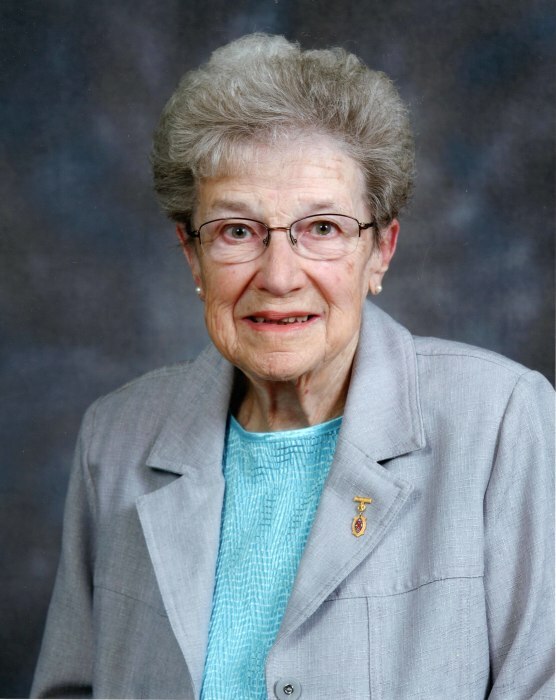 Myrtle's funeral service will be held at St. Andrew's United Church Monday, April 15 at 1:00 with a lunch to follow. In lieu of flowers, donations in memory of Myrtle can be made to the Mary C. Moore Public Library.